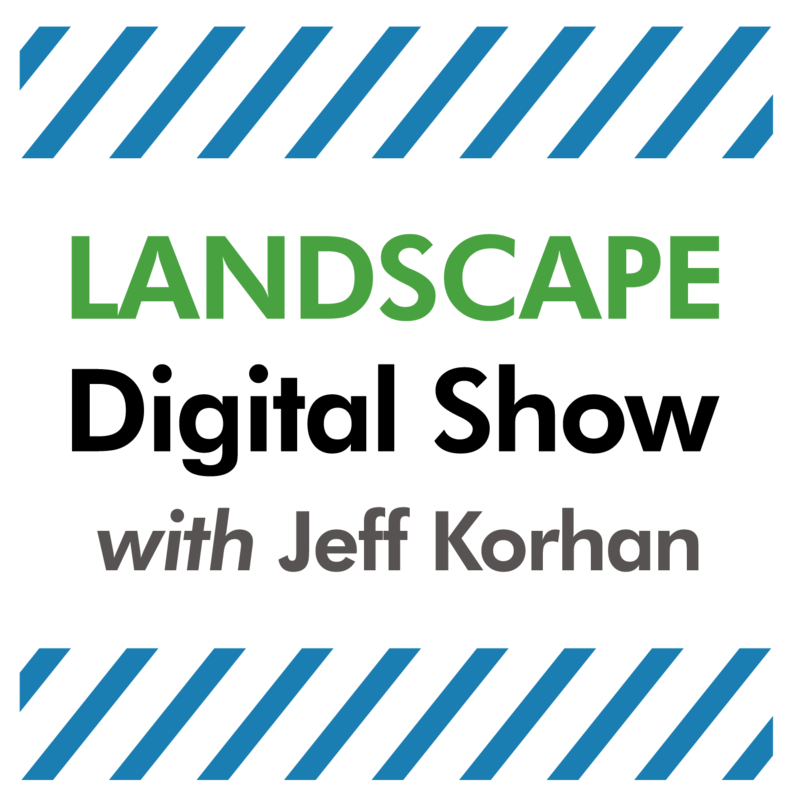 Episode 61 of Landscape Digital Show reveals how to create winning landscape industry awards entries and sell more work with storytelling. 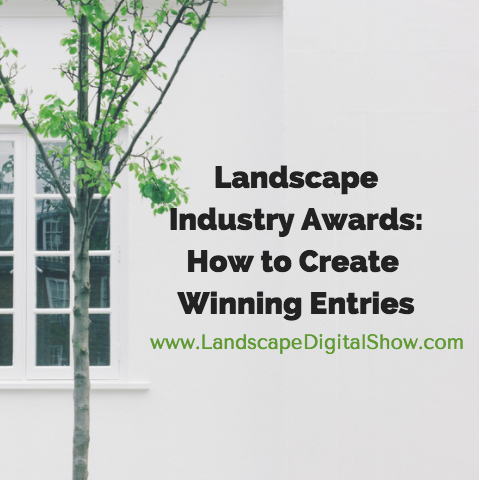 In one of the first episodes of Landscape Digital Show, we discussed why storytelling is essential to winning landscape industry awards. Since we are once again in the thick of the landscape industry awards season, I’d like to go into more detail about why your project story is vital to winning, and how to tell to tell that story with familiar storytelling practices used every day in Hollywood. What I’m going to show you is that amazing project photos are essential to winning landscape industry awards, but without a good story to back them up your entry will play like a silent film. Years ago I was asked to be a judge for the landscape association that is now NALP – The National Association of Landscape Professionals. There were 4 landscape company members charged with judging several hundred projects over two days. Each project has a general description that is read aloud for the group. That description has to tell a story that aligns with the judges’ expectations as they review the dozen or so images. Pretend you are a judge. As each image pops up on the screen its one or two sentence description is read. A couple of things are happening. One is that you are reconciling the photo with the description. Two, you are looking for confirmation from your fellow judges, like a nod or smile. Those photos have to deliver on the promise of the overall project description and the specific image description. They do that be letting the story unfold. Think of the project images as scenes in a movie. There needs to be a logical progression from beginning to end, with drama, suspense, and surprise as we progress from scene to scene. If you can accomplish that, you have an excellent chance of winning an award. Contrast that with image descriptions that are vague or do not align well with the visual in front of us. We hear one thing and see another. That confusion is a misfire that will likely drop that submission down a notch. If there is no recovery, such as stunning photos that create a big finish, it will be lucky to receive any award at all. Now let’s get into the specifics. Great novelists and screenwriters know you have to get and stay on-theme if you expect to capture and hold the attention of the audience. Your audience of judges needs to know why each submitted project was undertaken. That’s its purpose or theme. And you need to spice it up with whatever backstory you have, such as the residential landscape renovation that was completed just in time for a milestone family event, thanks to your company’s innovative mobilization and execution strategy. Your story narrative and images must work together to become a short film that sparks the imagination of at least one of the judges. Just one. And this is key. You see, while there is usually agreement on the merits of each project, disagreement on any little thing leads to further debate. In other words, there are negotiations among the judges and compromises have to be made. So, to sell an award to the group, at least one of the judges has to champion your project entry. Then he or she will use your story to help the others understand why it deserves an award. And that story starts with the project being true to its theme or intended purpose. A compelling story puts meaning to the project images. In short, when everything else is perceived to be equal, the story is the tiebreaker. Now that I have your attention, let’s talk about how to tell that story. Storytelling at the highest level is a complex mix of beats, sequences, scenes, and acts. You may not know what those elements are, but you intuitively know that something is amiss if they are not right. Most important is to understand the main storytelling elements, which are the acts of the story. You know them simply as the beginning, middle, and ending. What’s important is what happens within each respective act. What’s interesting about this simple but reliable formula is that you probably use one like it to sell landscaping projects. Your sales story is one of transformation from a beginning landscape reality into something remarkable, which is the ending payoff. That’s what will win the judges over. You start with the beginning hook that sets the stage, giving them a reason to buy into your story, while creating suspense about how the projected outcome was ultimately achieved. The beginning hook prepares the audience for what is about to come, and within that first act is an important moment known as the inciting incident. This is when the story really begins. Now you know there is going to be a fight to the finish. Everything in the middle builds up to the finish, with plenty of challenges that create anticipation about that climactic moment. 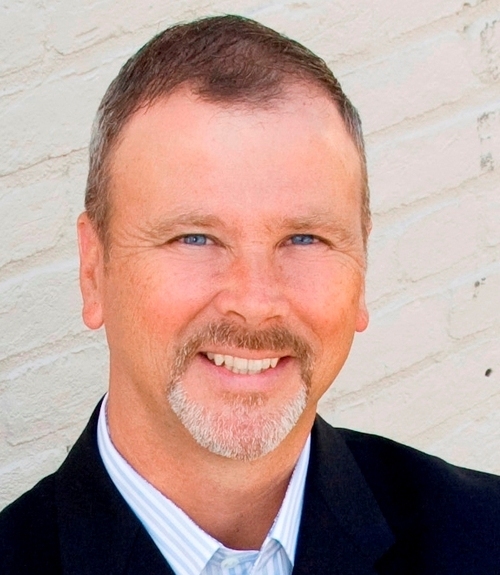 Rocky experienced his share of challenges and your landscape awards story must do the same. The crisis in the middle raises the stakes for the protagonist, and the higher the stakes for failing the bigger the payoff for winning. The protagonist of your story is the customer. And the stakes are the award level your project can achieve by coming through for them. So, go ahead, give your story impact by making it a fight to the finish. Let it get a little bloody. Did everything come together perfectly? Doubtful. Quantify your challenges with data to amplify them for the judges. Let’s go back to the inciting incident again. What exactly is that for a landscape industry awards project? It’s the reason why the customer chose you over your competitors. It’s your better idea or way of doing things that hooked them in. And the challenges and struggles you encountered along the way make the outcome that much sweeter for everyone, including the awards judges. That’s your storytelling formula. It’s a hook, build-up, and a payoff. Back in Episode 4 of Landscape Digital Show, I discussed the details of a particular project that resulted in my young landscaping company at the time winning its first of what would be many landscape industry awards. Give it a listen because it’s a real-life example of how this worked for us. Need help putting together your awards submission? Let’s discuss it. The call to action for this episode is to start thinking like a storyteller because that is how you are going to sell more work and win more landscape industry awards. If you would like help with your landscaping awards submissions, that is a service that I offer. You can get in touch with me using the contact form or you’ll find my contact information on my personal LinkedIn profile.